Partners - Write Brothers, Inc. Here is a list of Creative Partners and Affiliates that may be useful to your Writing needs. WELCOME to my community of developing screenwriters. As a produced screenwriter, award-winning teacher, top-selling author, and distinguished script consultant, I have helped hundreds of writers get into the biz. The Writers Store is recognized as a leading resource for specialized software, books, supplies and reference materials for writers and filmmakers. The Writer is full of features you can use to improve your writing, including before-and-after examples of improved writing, more literary markets than ever before, practical solutions for writing problems, selected literary magazine profiles, tips from famous authors and hands-on advice. 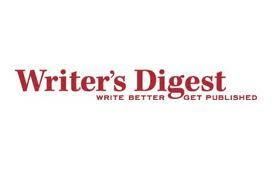 WritersDigest.com is the one-stop shop for information, resources and writing community. Writers can connect with other writers on our forum, visit our blogs and sign up for our free weekly e-newsletter. They’ll also find weekly writing prompts, contests and competitions, conference listings, and online exclusive articles. Script has been the leading source for information on the craft and business of writing for film and television for over 15 years. With inside information, articles written by working writers and filmmakers, and in-depth interviews, Script is the resource on every scriptwriter’s must-read list. The Web site for Creative Screenwriting, the magazine that interviews filmmakers, the writers and directors, to reveal what went into the creative processes of major motion pictures, art films and TV series. Screenwriting and Screenwriter’s Utopia! The original (since 1995) screenwriting destination for screenwriters. A portal for screenwriting on the Internet. With thousands of pages of content and at one time averaged around 100,000 monthly visitors. A comprehensive database of screenwriting contests and screenwriting competitions. 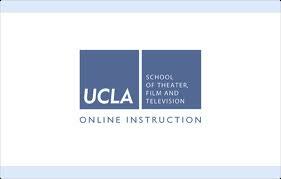 Unique to UCLA, these graduate-level, non-degree programs are modeled after the world-renowned MFA curriculum at the prestigious School of Theater, Film and Television. Classes are offered in the evenings and are taught by industry professionals, many of whom also teach in the MFA programs. For students who want to avail themselves of a respected UCLA film and television education but are unable to commit the time to a degree program, the Professional Programs are a terrific way to go. Graduates of the Professional Programs have sold material to Disney, Fox, Miramax, Paramount, Sony, Warner Bros. and many more. Since 2000, Screenplay.com and Scriptapalooza, Inc. have joined forces, uniting the perfect "marriage" between the hottest screenwriting competition and the top industry software company, to create the ultimate screenwriting competition. What makes Scriptapalooza unique in the competition arena is the quality and support it gives its winners and runners-up. The priority is to get the writers recognition and their script read by production companies and literary representatives. Sometimes a script is requested 6 months after Scriptapalooza announces its winners. That is the Scriptapalooza difference. The Great American Screenwriting Conference & PitchFest is a two day conference, and one day pitchfest. GAPF was created by writers, for writers. If you need an agent or manager, are looking to option your material, or would like to be hired for writing assignments, you will find the connections you need for your career to move forward. An educational, non-profit, volunteer-driven organization created by writers for writers and industry professionals. A labor union composed of thousands of writers who write the content for television shows, movies, news programs, documentaries, animation, and internet and mobile phones (new media) that keep audiences constantly entertained and informed. BookBaby is a leading eBook publisher for independent authors. BookBaby makes it easy to sell your eBook through the world's biggest retailers, including Amazon Kindle, Apple's iBooks, the Sony Reader Store, NOOK by Barnes & Noble, and more. BookBaby offers several eBook publishing options, including free eBook distribution and promotion and the option to keep 100% of your royalties. Need eBook formatting, cover design, short run book printing, or web hosting services? No problem. BookBaby makes publishing your book easy. BookBaby is part of the AVL Digital family of businesses, which also includes Disc Makers, CD Baby, and HostBaby. MICHAEL HAUGE is a story and script consultant, author and lecturer who works with writers and filmmakers on their screenplays, novels, movies and television projects. He has coached writers, producers, stars and directors on projects for Will Smith, Julia Roberts, Jennifer Lopez, Kirsten Dunst, Charlize Theron, and Morgan Freeman, as well as for every major studio and network. The New York Film Academy offers degrees, long-term and short-term programs for those interested in learning the craft of screenwriting. Our hands-on experienced instructors focus on the tools required to write compelling characters, story, and structure in Film, Television, and New Media. We help take students’ ideas from a simple pitch to an industry standard script. NYFA understands the end all goal of creating a professionally written screenplay that will become your calling card in the industry. The goal is for students to leave the course, having a portfolio of professional-caliber spec scripts. Not only that, NYFA prepares students for the ever importance “pitch.” In fact, our degree program concludes with a Pitch Fest, where students have the ability to practice their pitching skills with industry professionals. Another exciting component to NYFA’s screenwriting department, is the Guest Speaker Series. NYFA has brought in major A-list screenwriters and directors including Steven Spielberg, Paul Schrader, Paul Haggis, Jon Favreau, and many more. These events are exclusively for NYFA students and alumni only, and provide valuable advice and insight into the current nature of the business. Whether you’re just starting out, or trying to finally turn that brilliant idea into a feature screenplay, NYFA has a course for you. An informational resource for screenwriters worldwide and a source for film and TV producers seeking screenwriters. (National Association of Television Program Executives). NATPE is a global, non-profit organization dedicated to the creation, development and distribution of televised programming in all forms across all mature and emerging media platforms. In the last 18 years, Nick has written or rewritten more than 30 screenplays in all genres for clients worldwide. He is also an in-demand screenplay consultant and film script reader: he has written many script reports for appreciative film financiers and creatives. Nick writes principally for the cinema -- his passion. Nick believes passion is as essential to good screenwriting as insight, but that it should not be allowed to cloud market led imperatives. Contact Nick Green Screenwriting for Script doctoring, script analysis, script polishing, and more. ScriptShark is the industry’s leading site for professional and affordable screenplay coverage and manuscript analysis. By bringing professional tools to the aspiring and professional creative communities, ScriptShark is dedicated to the empowerment, discovery, and advancements of writers aiming to break into the publishing marketplace and the entertainment industry on the merit of their superior, focused work, thorough preparation and well-honed talent. If you are seeking professional analysis of your work, ScriptShark is your destination.